Now Point P will be fixed at the origin. 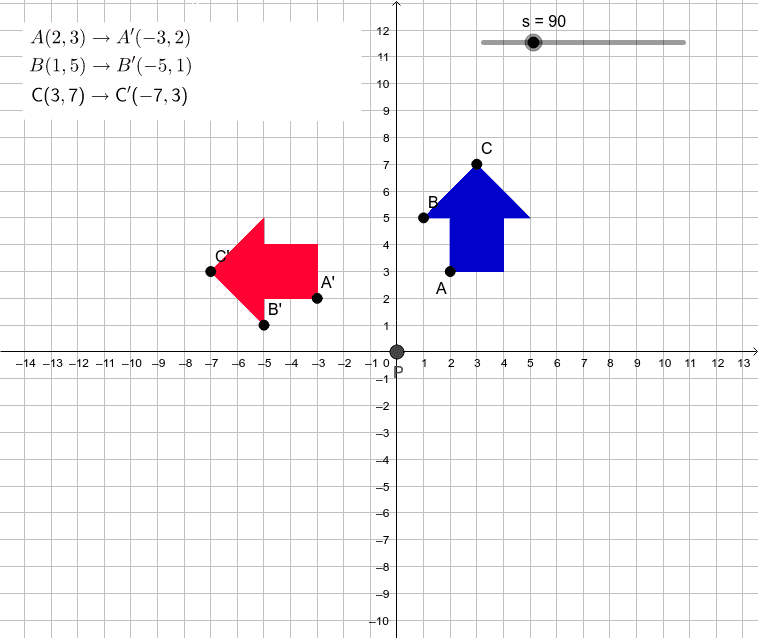 Try to figure out the shortcuts for the following counterclockwise rotations: 90 degrees: ( x, y) --> ( ____ , ____ ) 180 degrees: ( x, y) --> ( ____ , ____ ) 270 degrees: ( x, y) --> ( ____ , ____ ) Use the slider to change the degree of the rotation. Move the blue arrow to see if your rule always works.